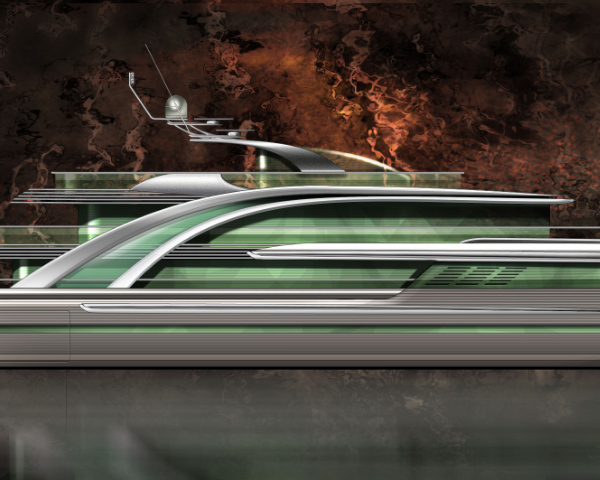 With a hull optimised for maximum efficiency at displacement speeds, this is a project which takes glass technology to a new level. Major window openings totally bring the landscape into the interior, and such transparency does not stop there, as similar transparency is achieved between the decks, at the multi-level atrium, even at the bulwarks, where glass has replaced the traditionally closed in metal bulwarks, ensuring that amazing views out are available even from the lowest of deck recliners. 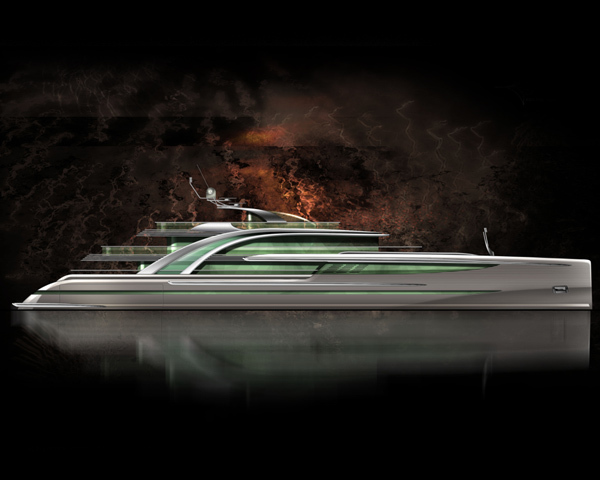 A true penthouse afloat. Another Freivokh project where the owner enjoys a full private deck, yet all guest amenities are fully preserved.